In the early 1730s the painter Joseph Highmore (1692-1780; Fig. 1) made two foreign journeys. His voyage in 1732 to the Low Countries was his first visit to continental Europe and, as stated by Highmore’s son-in-law John Duncombe, was undertaken chiefly to view the Elector Palatine’s Gallery at Düsseldorf “collected by Rubens, and supposed the best in Europe.” Duncombe continues, regarding Sir Peter Paul Rubens: “At Antwerp also he had peculiar pleasure in contemplating the works of his favourite master.” Highmore returned to the continent two years later, this time to Paris, and his journal for this trip survives. Fig.1. 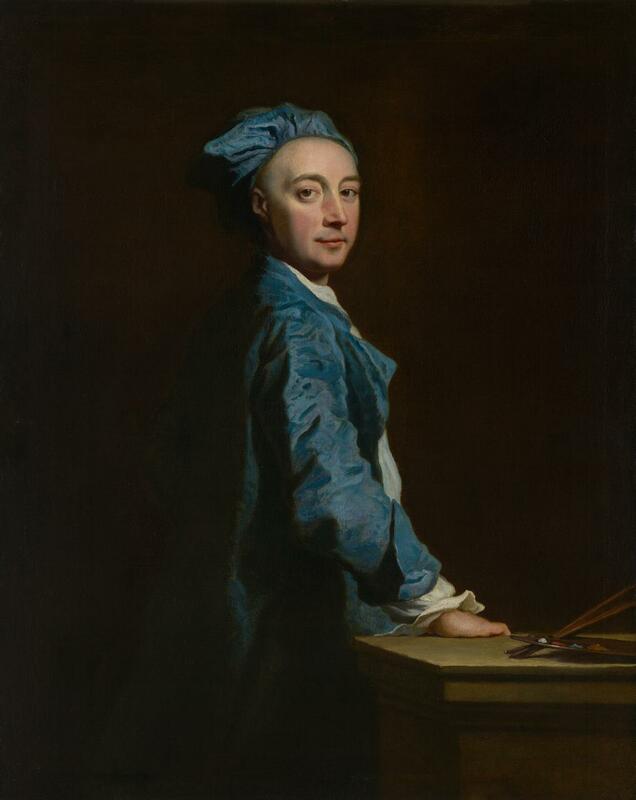 Joseph Highmore, Self-portrait, c.1730. Oil on canvas, 126.4 x 101 cm. Felton Bequest, 1947, National Gallery of Victoria, Melbourne. Image Courtesy of the National Gallery of Victoria. Highmore spent eleven weeks away from London, departing from the Tower on Sunday 13 June 1734 and returning on Tuesday 24 August. A majority of this time was spent in Paris itself and its environs. Highmore’s unguarded reactions to what he saw, as recounted in this unedited and private format, are by turns extremely admiring and highly critical. Further, the journal recalls what captured Highmore’s particular attention, either in the moment or soon after, and as such the references fluctuate between structured sentences and enigmatic single-word jottings. The prominence of Flemish art, specifically Rubens, in his choice of itinerary and corresponding notations suggests that the Paris trip acted, in part, as an adjunct to his earlier experiences in the Low Countries. However and crucially, given the focus of the present collection of essays, Highmore’s itinerary also demonstrates a specific interest in meeting prominent members of the Académie Royale (located in the Louvre from 1692 onwards) and viewing examples of recent “modern” and contemporary French art. This second strand is my focus here. I will conclude by briefly considering how Highmore’s time in Paris may have influenced his art practice on return.